I was in a Weight Watchers #EatSmart social media program during the month of October. All of the bloggers in the media program tweeted and posted about Weight Watchers #EatSmart foods. Sharing info all over the blog universe! 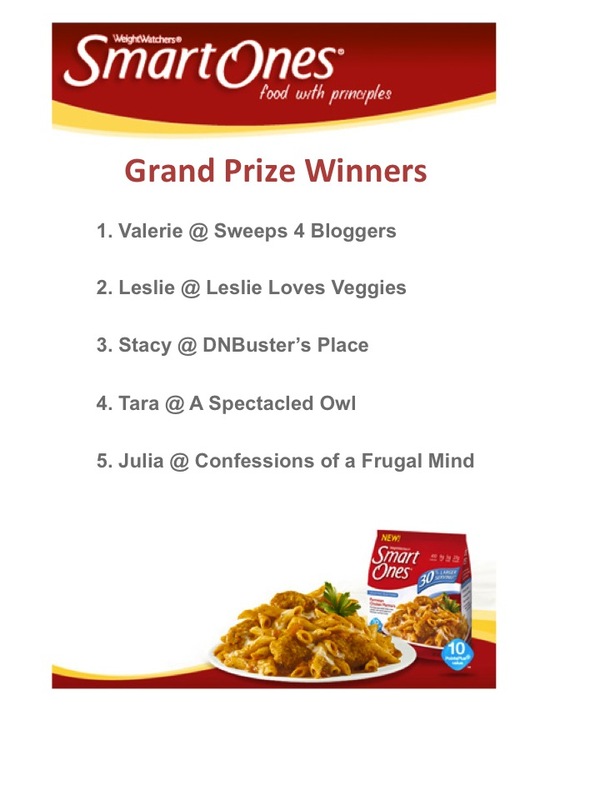 ~I held a giveaway HERE~ 1 lucky Dnbuster's Place reader won a coupon for a free Smart Ones Meal of choice! The prize for the top 5 influencers in the Eat Smart program would be a gift card! The winners were announced TODAY!! Content and/or other value provided by our partner, Smart Ones. Thanks bunches to my friends and followers who spread the word and clicked my posts about the campaign. Woohoo! Congrats to you and all...awesome!